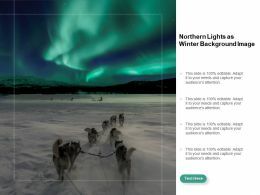 Presenting this set of slides with name - Northern Lights As Winter Background Image. This is a four stage process. The stages in this process are Winter Background, Winter Images, Winter Covers.